I enjoy the community with neighbors that are friendly and a support staff that tries to bring in holiday celebrations, family photo sessions and food parties for the whole family. The experience was easier than I anticipated. The staff was very kind and attentive. Made me feel welcome. And I love that a lot of other residents have dogs since I have one as well. I'm from California. The apartment has beautiful amenities. The staff is awesome especially Ms. Katie Bass. She and the Manager (Rebecca) above and beyond too make moving into the place effortless. Thank you. Clean, beautiful, manicured surroundings. Courteous and professional managers. Maintenance is the best, prompt and efficient! Communications are timely and relevant. 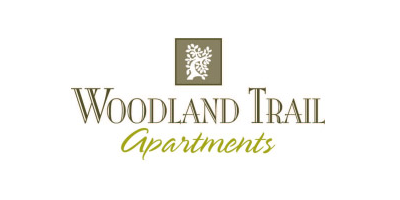 My husband and I have enjoyed living at woodland trails. The apartments are very nice and spacious. Whenever we need anything, the staff is quick to respond and help us in any way they can. This apartment is very clean and quiet. My family loves living in here. There are swimming pool and fitness center in complex so it is also very convenient. I recently moved here from out of state and was renting a house nearby but wasn’t happy. The ladies in the office have been more than kind, and I love my apartment and this place. Staff was excellent when it came to going the extra mile for myself and my family. We are so excited about being here. Valerie is awesome. We love our apartment. Great staff. Wonderful community. Very clean, peaceful. Maintenance staff always very attentive and thorough! Only thing I would change is designated parking for each apt. Depending on when you get home, you may or may not have a parking space waiting for you in front of your home. The office staff is amazing. They go above and beyond to make you happy. Always smiling and friendly. I hope to have an amazing time living here. Very easy to sign up and earn rewards. You can just put a review in and get points. You might as well use it because you already love there. This allows you to make something back. Amazing experience! Maintenance is amazing as well. Just overall very impressed with this company and I will be recommending this apartment complex to EVERYONE! The complex is the newest, and has the best amenities, of any complex in the area. The open floor layout is very nice. The entire staff is friendly and courteous. I couldn’t be more excited! The transition was so smooth and Katie was amazing!!! She’s made this new experience for me and my son fabulous! Thank you for providing us with your feedback! We are so happy to hear how excited you are, and we look forward to many new experiences with you! Thank you for your kind review! We are so happy to have you back and hope you enjoy your new home! So far,so good. Have only been here a week and they have addressed all issues promptly. Great area. Neighbors are very good and understanding of us making more noise than normal moving in & going up and down the stairs. Thank you for your review and Welcome Home! We are so glad to have you here with us! Better than most. Give maintenance group top marks. Repairs made within 24 hours or less. Neighbors are friendly for the most part. Fairly quiet. We appreciate your feedback and will pass your kind comments to our maintenance team. Please let us know what we can do to earn that last star! The entire complex is amazing. I have great neighbors, and the office management is THE BEST I have ever had. They treat you like best friends. When I had a bank issue with my auto-draft, they called 3 times to make sure everything was ok. Remarkable staff. We truly appreciate your review and are so glad that your experience has been so great! We look forward to having you here with us! Service requests are done in a timely manner and the staff are kind. If there is a concern it is also delt with accordingly and community area are kept very clean. Thank you for your feedback! We hope to continue to make your living experience just as pleasurable! So far I have been very pleased with the process and apartment. the staff is very professional. This is a great selection for a family. Oh and the pool is a bonus! We are happy to know that you are enjoying your new home! Thank you for your review and we look forward to seeing you at the pool this summer! Amazing place to live! I couldn't be more pleased with the awesome service, the amenities, and the neighborhood! It really feels like home!! The apartments are very nice, but if we have a problem we have to call the security officer instead of the office taking care of the problem, The staff very nice with the exception of one. I don't want to have any inter-action with her at all. If we have a problem with something needing to be fixed, they crew is here right away. The community is very quite for the most part. Very clean, helpful staff and very informative. Only cons about apartment wish it has an pantry and patio rails for outside. But overall it’s a safe and secured place to stay for the price!